President Edward Shevardnadze suffered a serious setback during the general elections that were held on 2nd November in Georgia. His party, New Georgia, that was created in April 2003 in preparation for the election and led by Vaja Lordkipadnidze, the former ambassador for Georgia in Moscow, won 26% of the vote according to estimates that are still incomplete whilst the opposition parties ran over the 70% mark. The National Movement led by Mikhail Saakashvili won 23.5% of the vote and five other opposition movements including the Labour Party (led by Chalva Natelachvili), the Renaissance Party (led by Aslan Abachidze, President of the autonomous Republic of Adjaria) and the Democratic Block (led by Nino Bourdjanadze president of Parliament) together won 45.1% of the vote. Opposition movements are divided but some political analysts are not ruling out that two of the biggest groups might succeed in forming an alliance and hence have a majority of the seats in Parliament. The participation rate rose to 63% i.e. a decrease in 4.6 points in comparison with the preceding general elections on 31st October and 14th November 1999. The Georgian general elections were monitored by 450 observers from the Organisation for Security and Co-operation in Europe (OSCE). They confirmed a number of anomalies in the election (incomplete or missing electoral lists, a shortage of voting slips, disregard for voting rules within some polling stations etc...). These anomalies "reflect a lack of collective political will and administrative ability to organise an election", declared Julian Peel Yates, head of the observers' delegation at the OSCE. On 31st October the Secretary General of the Council of Europe, Walter Schwimmer, did however appeal to the Georgian authorities and the opposition forces to ensure that the elections were run within the norms set down by the Council of Europe. "The country deserves free and equitable elections, and it is in need of these", he confirmed. The director of the Georgian electoral commission Nana Devdariani admitted that the election had been poorly organised in some places but she thought "the elections might be considered valid", saying that she had "seen worse". Finally President Edward Shevardnadze admitted that infringements had taken place but stressed that "the most vital thing is that these elections have finally been held". The Georgian electoral commission indicated that the elections had been invalidated in 17 polling stations following infringements of the rules. A new election might be organised in the same stations on 16th November next. In addition to this and due to the late opening of some polling stations as well as never ending queues, the election was extended by one hour in Tbilissi and by four hours in Kutaisi. This is the country's second biggest town west of the capital where only a third of the polling stations were open due the late reception of the electoral lists. The spokesperson for the Renaissance Party, Georgi Targamadze denounced, "Massive rigging and the infringement of people's rights". "The government has lost", declared Mikhail Saakashvili (National Movement), "they only won a low percentage of the vote and now they are trying to tamper with the results. I am calling on the electorate to defend their rights". On Election Day the police and the army had been placed on full alert to halt any incident and President Shevardnadze had warned that any disorder following the announcement of the election results would be severely punished. Anti-riot police closed one of the main routes to Tbilissi on Sunday in order to block the way to a group of 250 demonstrators who were expressing their discontent and who had decided to demonstrate outside the Electoral Commission's HQ. In Roustavi, nearby the capital, policemen were sent in as a back up force after the destruction of several ballot boxes. On the evening of 4th November around three thousand opposition supporters demonstrated after an appeal by their leaders in the centre of Tbilissi, protesting against ballot rigging and demanding official recognition of their "victory". "They cheated in these elections; the opposition won everywhere. 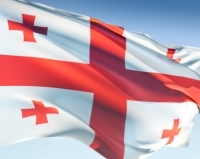 We should show the authorities that we no longer want to live under the old regime and that we want a new Georgia", declared Mikhail Saakashvili (National Movement). The opposition forces have also questioned the figure of 2.9 million registered voters, a figure put forward by the electoral commission, pointing to an unjustified increase in this number since the last elections in 1999 (+ 800,000 people). The general elections in Georgia were followed closely by the entire western world because of the strategic place the country occupies in the export of oil from the Caspian Sea. In the near future the Caucasian republic is to be crossed by the Bakou-Tbilissi-Ceyhan oil pipeline that is to be built by western oil companies with the support of the USA. The Americans were less critical than the Europeans of this general election, limiting themselves to pointing to some simple "inaccuracies" in the electoral lists. "We agree with the OSCE's preliminary evaluation whereby inaccuracies in the electoral lists weakened the electorate's confidence during the electoral process and that this might have deprived a great number of voters of the right to vote. We have also taken note that the OSCE recognises that some aspects of the election show some major progress, especially in the transfer over to a unified electoral code and the transparency of the new central electoral commission", declared Adam Ereli, spokesperson for the Secretary of State. President Edward Shevardnadze, who took active part in the electoral campaign himself, promising reforms and presenting himself as the guarantor of the country's political stability, warned Georgians against returning to the past - symbolised, in his opinion, by the opposition forces - was defeated by the electorate. The government forces were sanctioned for not having succeeded in re-launching the economy in one of the most prosperous republics of the former Soviet Union - that was at one time considered to be the orchard and vineyard of the URSS. Georgia has now entered a new political era, since the opposition is certain to take control of Parliament if it manages to organise itself. Mikhail Saakashvili who is 35 years old, a Harvard trained lawyer is former Justice Minister and present president of Tbilissi town council. He is now favourite in the presidential election that is to take place in 2005. This will be an election where Edward Shevardnadze, who has been the main player on the Georgian political scene for the last 25 years and who is at present undertaking his second mandate, will not be able to stand.